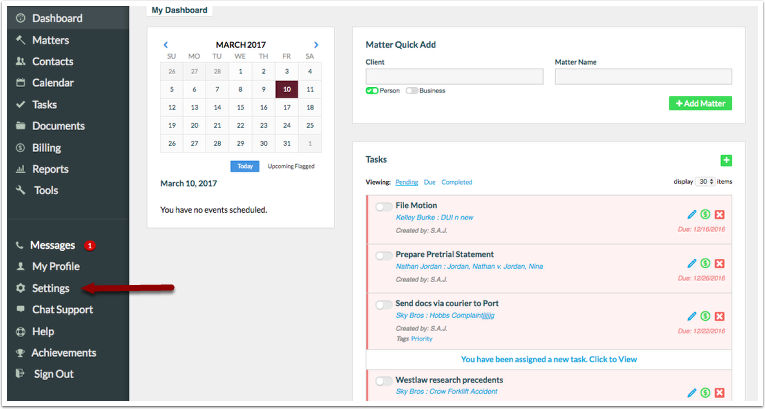 Calendar event attendees will not be included in synced events unless contact syncing is enabled. 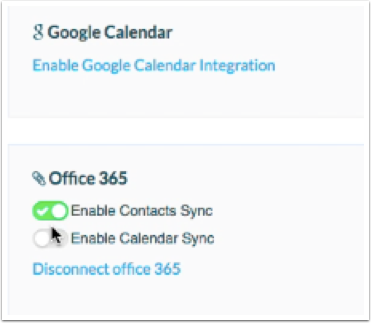 If contact syncing isnot enabled, all calendar event attendees that have the same contact record and email address existing in both Outlook and Rocket Matter will be added to the calendar event successfully. Clicking 'Enable Contact Sync' willsync all Outlook contacts to Rocket Matter for all usersthat have the contact syncing enabled. 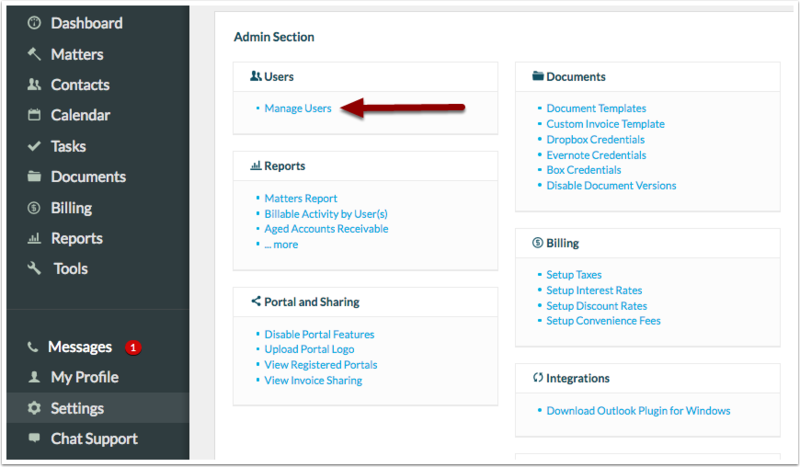 All Rocket Matter users in the account will have access to see all synced contact records. 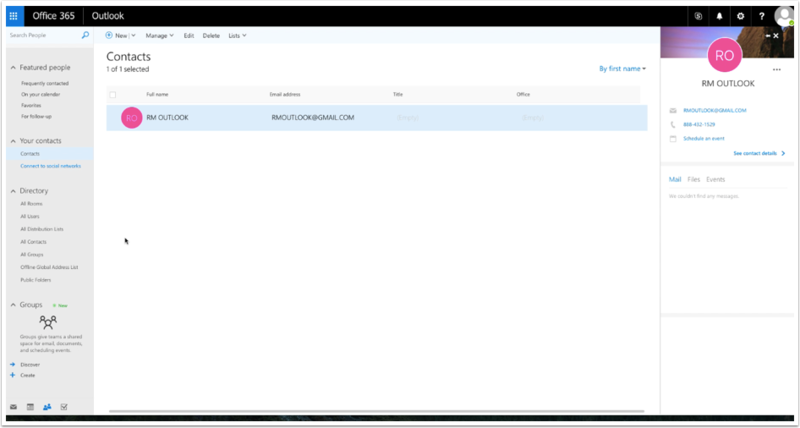 Also, once enabled, all Rocket Matter contacts will appear as a contact record in Office 365. You can disable the contact sync within Rocket Matter at any time ending any further contact syncing. 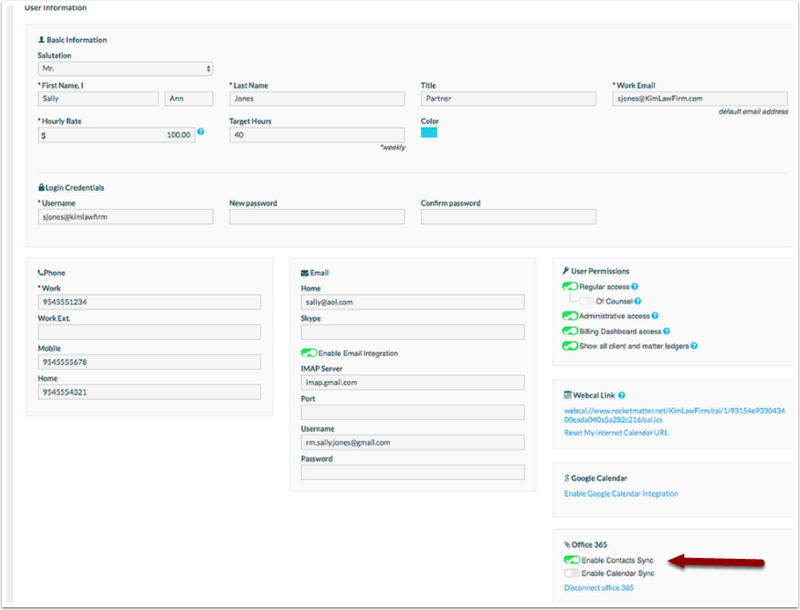 However, disabling the contact sync in Rocket Matter won't remove any previously synced contacts, those contact records will remain unless manually deleted. 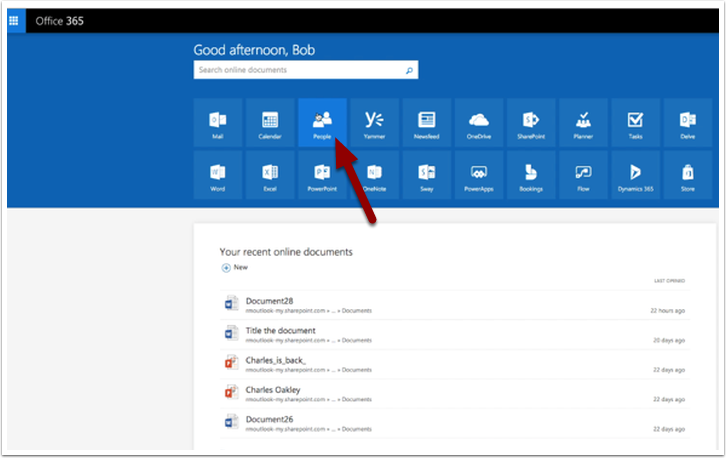 Prev: How to get started with the Office 365 Integration.